When I recently asked a young MLIS student about her career goals, she very matter-of-factly laid out a future of LIS work comprising multiple employer/clients based on her various skill sets. Kate possesses a rich suite of in-demand skills, ones that might previously have led to being quickly hired by a lucky organization. But as a realistic monitor of today’s LIS employment environment, she’s hoping for the best (she’ll find a great job) but planning for the worst. If no job materializes, she’ll be able to create multiple revenue streams to support herself based on her LIS skills. In fact, Kate is actively seeking out work projects and courses to broaden and deepen the skills she may be able to offer to a diverse range of employers – or clients. She’s positioning herself to be able to contribute value over a lifetime of information work. And one of the most effective ways to do that is to consider adding freelance work or projects to your worklife and portfolio. 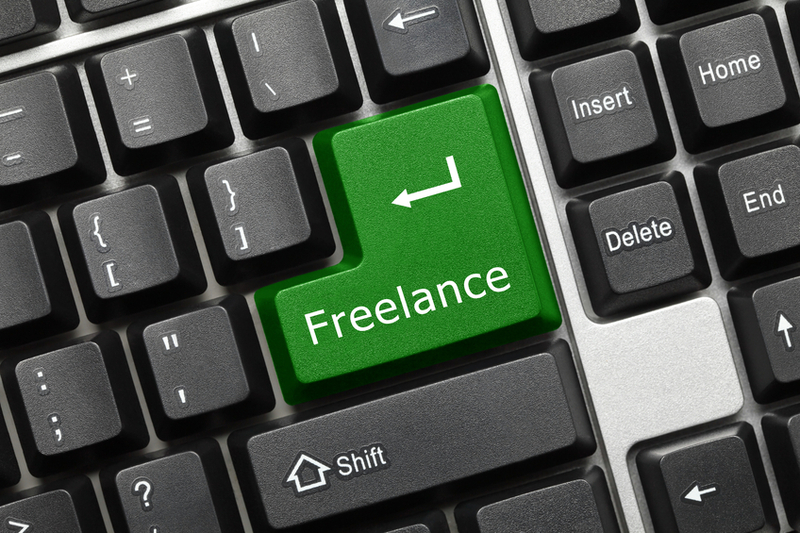 What types of freelance LIS might fit for you? What type of work do you love doing? What type of work are you really good at? What type of work is currently in demand? What type of work might you want to test the market for? What type of work will avoid any conflict of interest with your current job? What type of work do you love doing? This will be the work that’s the most enjoyable for you to do on the side, and may offer you an opportunity to start building a reputation for this skill that creates new word-of-mouth opportunities for you as you continue to grow your career. What type of work are you really good at? Work that you’re really good at means that your side projects are likely to be fairly stress-free, easy to manage, and fast. It may not provide a lot of learning/growth opportunities, but that may be a non-issue for you. What type of work is currently in demand? In all economic situations, “in demand” translates into a higher rate of compensation. If you’ve got a skill set that both unique and needed, that’s definitely a sweet spot for you when it comes to freelancing. What type of work might you want to test the market for? I’ve been working on a book about rethinking LIS retirement, and one of the most interesting trends is how many people are “trying out” potential post-retirement part-time career options while they’re still working full time (and committed to their current jobs). It’s a safe way to test the waters before making a full-body leap into the deep end. Never use your employer’s time, space, equipment, or resources to work on your side projects. Never work for your employer’s competitors. Never use or share proprietary information (i.e., information that’s been created or gathered by your employer) in any of your side projects. Never put yourself in a situation where your employer will be surprised or blind-sided by the side work you’re doing. Let your boss know what work you’re doing, and make sure there are no company policies prohibiting such activities. When it comes to side-gigs, you have two options: be your own independent manager and line up projects and clients, or sign up with one client to do contract work on the side on an ongoing basis. An example of the latter would be doing grant-writing for a single large client who needed lots of grant-writing work done. The benefit of this approach is that you have a reasonably predictable stream of freelance hours and revenue, and your client knows they can rely on you to understand their needs and deliver accordingly. On the other hand, lining up a number of projects and clients may be your solution when projects are brief and/or non-recurring. This can be interesting and fun, and also a great way to start building a base of clients should you be considering going independent as a full-time option. The downside is that you are more likely to end up with overlapping projects and deadlines, which can be seriously crazy-making. And, equally important, it can compromise the quality of work that you do in your regular full-time job, which should be avoided at pretty much all cost. Essentially, many LIS jobs done on a full-time, permanent basis will, under the right circumstances, also need to be done on an outsourced, project, or temporary basis, which is where freelancers and contractors come in. Keep in mind, however, that your freelance work doesn’t necessarily have to involve your LIS skills. In fact, you might enjoy and prefer doing something completely different. Do you have a creative bent? Artistic and design work lends itself beautifully to a side-gig approach. Problem and Quiz Writer: Structure questions that dive into key concepts. Challenge students to develop understanding over memorizing rules. Remote. This is a contract to full-time role. Entry-level. Pays $25 to $30 hourly. Minimum of 12 hours weekly. Teaching exp. a plus. Also, LIS-related side gigs may help you build professional contacts, a potential bridge to new types of LIS work and employers, additional expertise, and a first-hand understanding of whether this is work you’d like to pursue. In addition, you may already know enough potential clients that word-of-mouth referrals is the only marketing you’ll need to do. Considering side-gig freelance work? Get organized! When I found myself as a single mother and the sole support of my son and myself many years ago, my immediate response was to look for freelance work in addition to my full-time job so that I knew I’d always have a fall-back for us if my primary job went away (which it has, on several occasions). But as a single mom working full-time, I also knew that the only way I could manage juggling work, side projects, and getting dinner on the table was to become extremely organized in my work life. I’d recommend the same for you if you’re considering sideline work. Organize a simple workspace, create a calendar of project timelines and deliverables, design simple invoice and proposal documents in Word that you can fill in quickly. If you’d like to consider freelance or independent work, first take a good look at your current circumstances to determine whether you have the bandwidth (translation: time and energy) to take on any additional commitments. The reality is that often the answer is no. If so, you can either decide you’ll take a pass on any side work at this point in your career, or you can start redesigning your life in a way that lets you carve out, say, a consistent four to eight hours every week. “Start” is the operative word here – you want to give yourself plenty of time to see if this is actually possible without negatively impacting your personal relationships, commitments, and quality of life. If you find that you can, in fact, manage this additional activity pretty easily, and you’ve organized your home freelance work environment, then you’re ready to give things a try with one client. This might be someone who knows your work and has approached you, or someone you’ve approached because you know they need your expertise. Or, you may decide to look online for your initial client, using resources like flexjobs.com, LinkedIn Jobs (search for the type of work you’re interested in plus keywords like project, temporary/temp, freelance, independent, etc. ), Upwork.com, and INALJ.com. The key, however, is to start with one client and see how sustainable that is over time. It’s sort of like when everyone says to get a dog before thinking about having kids – you want to start small and manageable and learn your lessons before expanding. Can you meet deadlines? How do you handle conflicting commitments between a project/client and family/friends? Do you get depressed when everyone else is hanging out and you’re working several evenings or weekends? Is the juggling too stressful to be manageable if not enjoyable? Also, are you able to ensure that your freelance work doesn’t in any way compromise the quality of your full-time work? You’ll find answers to these questions pretty quickly with your first project or client. Is a contingent workforce the LIS future? One of the reasons having a sideline and getting used to this mode of working is that organizations are increasingly moving to an outsourced or contingent workforce. The LIS universe is unlikely to be immune to this trend, as, for example, public libraries seem to be more focused on replacing full-time jobs with part-time ones in order to address budget constraints and academic libraries may increasingly rely on adjunct librarians. If this trend continues, then being able to manage your work independently, to juggle multiple projects (eventually – not right away! ), and to work with clients or customers (rather than supervisors or bosses) may turn out to be quite important career skills. At the very least, they’re likely to provide a path to career independence, adaptability, and resilience – and a continued ability to buy groceries. The interview disconnect: why should we hire you? © 2017 Infonista. Site by OT Media LLC.